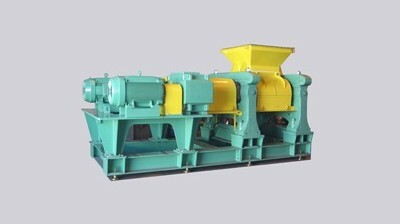 Many different kinds of grinding mills exist, including ball mills, hammermills, jaw crushers and roll crushers. A ball mill is a cylinder partially filled with a grinding medium, like small stainless steel balls. When rotated on its axis, the material that fills the rest of the cylinder is crushed. Hammermills instead use hammers to crush material. Jaw crushers, in comparison, crush material between two plates. Roll crushers crush material between two rolls or between a single roll and a fixed, flat plane. Grinding mills serve a wide variety of industries. In gristmills, for example, grinding mills are used to grind grains. Ball mills are commonly used to crush coal in power plants and to make black powder for pyrotechnics. Paint and ceramic materials also are milled in a similar fashion. Mills are very important tools for industry and in the development of products for commercial and consumer markets. Size reduction equipment is available in all kinds of configurations for use in many different applications. Jaw crushers, which are used exclusively in industrial processes, are named because of their jaw-like crushing mechanism. The mechanism involves two plates that meet each other at an angle and are positioned vertically. One plate is stationary and the other is moveable, and when the movable jaw moves back and forth, it crushes materials placed between it and the stationary panel. Ball mills hardly resemble jaw crushers at all. They involve a spinning cylinder into which materials to be ground are loaded. The cylinder is also loaded with grinding media, which smash the other materials as the cylinder spins. Ball mills can be small enough to be placed on work benches, and they can be large enough to occupy entire rooms. Hammermills, impactors, impact crushers and every other kind of industrial grinding, crushing and pulverizing equipment vary in terms of their size and capabilities. 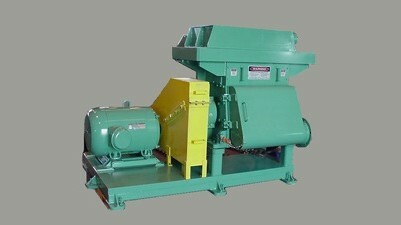 Grinding mills are equipment designed to break large quantities of solid material into small pieces. Grinding mills can process an array of materials and can operate through many different methods. In the past, windmills, waterwheels and animals powered grinding mills, but the grinding mills on which industry relies today are much more powerful and are capable of performing much more demanding tasks. Many different kinds of grinding mills exist, including ball mills, hammermills, jaw crushers and roll crushers. A ball mill is a cylinder partially filled with a grinding medium, like small stainless steel balls. When rotated on its axis, the material that fills the rest of the cylinder is crushed. Hammermills instead use hammers to crush material. Jaw crushers, in comparison, crush material between two plates. Roll crushers crush material between two rolls or between a single roll and a fixed, flat plane. Grinding mills serve a wide variety of industries. In gristmills, for example, grinding mills are used to grind grains. Ball mills are commonly used to crush coal in power plants and to make black powder for pyrotechnics. Paint and ceramic materials also are milled in a similar fashion. Mills are very important tools for industry and in the development of products for commercial and consumer markets. Size reduction equipment is available in all kinds of configurations for use in many different applications. Jaw crushers, which are used exclusively in industrial processes, are named because of their jaw-like crushing mechanism. The mechanism involves two plates that meet each other at an angle and are positioned vertically. One plate is stationary and the other is moveable, and when the movable jaw moves back and forth, it crushes materials placed between it and the stationary panel. Ball mills hardly resemble jaw crushers at all. They involve a spinning cylinder into which materials to be ground are loaded. The cylinder is also loaded with grinding media, which smash the other materials as the cylinder spins. Ball mills can be small enough to be placed on work benches, and they can be large enough to occupy entire rooms. Hammermills, impactors, impact crushers and every other kind of industrial grinding, crushing and pulverizing equipment vary in terms of their size and capabilities. Grinding Mills Grinding mills are equipment designed to break large quantities of solid material into small pieces. Grinding mills can process an array of materials and can operate through many different methods. In the past, windmills, waterwheels and animals powered grinding mills, but the grinding mills on which industry relies today are much more powerful and are capable of performing much more demanding tasks.